Love D&D Video Games? So do we. Enjoy this deep dive into beloved Dungeons & Dragons adventures on the computer. Video games owe a huge debt to Dungeons and Dragons. It’s not just that many of the basic game mechanics have been lifted from D&D, either. It’s the fact that Dungeons and Dragons primed a generation for imaginative game plan. Anything more complicated than Pong owes a massive debt to the game. It should come as no surprise, then, that D&D has a storied history in the video game world. If developers weren’t trying to shamelessly rip off the game, they were trying to adapt the game to various platforms. While some of these adaptations were more successful than others, it’s impossible to argue against the legacy that D&D has on video game platforms. Some of the games released have been massive hits, while others have served as building blocks for other games. Dungeons and Dragons entered the video game world almost at its beginning. It has taken brief hiatuses, but it’s never truly left that arena. It’s one of the stalwarts of the industry, though it’s rare that to see any comprehensive branding for the games. If you take a moment to look at the history of D&D and video games, you’ll see how the property has continually evolved with the technology. From basic text games to high-end MMORPGs, D&D has not only embraced the video game world but is building a separate legacy there. 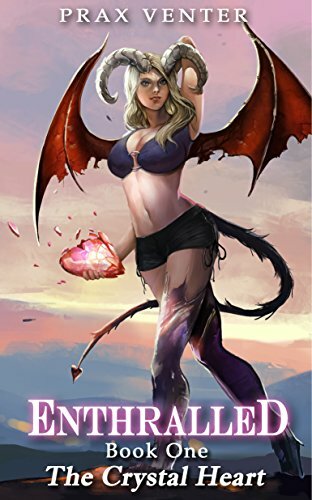 VR Dungeons & Dragons Video Games? 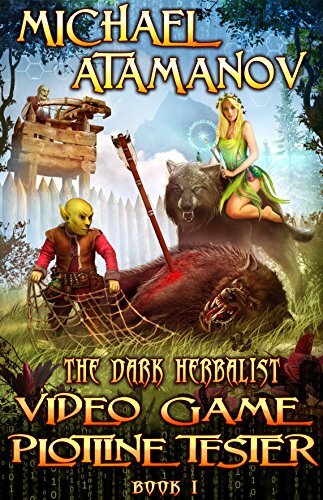 Video Games like Dungeons and Dragons? Released in 1981, Dungeons and Dragons’ first foray into the world of games wasn’t exactly high-tech. Instead, it came to life as a handheld Mattel game. Powered by watch batteries and taking place on a black and white LCD screen, the game wasn’t exactly a roleplaying pioneer. In fact, the game was very much a novelty, one that mostly traded on the license to get players to pick it up. Players would navigate a maze, avoiding monsters and attempting to kill a dragon. 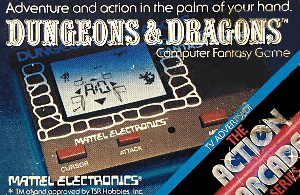 In this way, the game technically did feature both a dungeon and a dragon – perhaps just enough to keep the title honest. It wouldn’t be until 1988 that a ‘real’ Dungeons and Dragons game would be released. SSI created Pool of Radiance, a game that attempted to simulate the play of a traditional AD&D game. The rules of the game followed the tabletop version fairly faithfully, with a few minor tweaks to make the game more playable on the PC. One of the most interesting aspects of Pools of Radiance was that it allowed the player to create and customize a party. Players had access to the traditional D&D races and classes, all of which were bound by the rules of traditional game play. While a great game itself, the best thing that Pool of Radiance did was usher in the era of the Gold Box. The Gold Box series included a series of games based on the AD&D rule set. These games all featured a kind of dual-display engine, perfectly suited for the technology of the time. During the exploration phase, the monitor would display a first-person view of the geography, as well as a great deal of text information. This was akin to looking at a picture in and the various character sheets in a typical table top campaign. 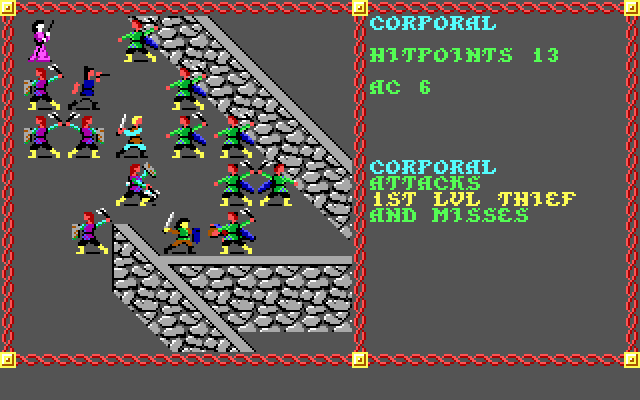 When the game switched over to combat, it moved to a third-person isometric point of view. One could then control each individual character, moving them around and fighting in combat. Given the combat-heavy nature of the game, this is often the most memorable part of the Gold Box games. Perhaps the most innovative feature of these games was the ability to move characters between games in the series. While a major selling point for a few AAA RPGs now, it was even rarer in the 1980s. This was a truly amazing feat considering the technology of the time. There were five games in the initial Pools of Radiance Gold Box run, but several other games used the same engine. Savage Frontier, another game set in the Forgotten Realms, also had a three game run on the engine, as did the Dragonlance series. While not as popular as the first SSI games, this great D&D video game series deserves to be remembered. Eye of the Beholder is one of those classic RPGs that is too often forgotten about when discussing the early days of the genre. While it certainly doesn’t have the cultural cache of Balder’s Gate or the bedrock foundations of some of SSI’s earlier games, Eye of the Beholder is nonetheless an incredibly important game in the RPG world. It might not have introduced most of the concepts seen in the game, but it did perfect them to a point where they became givens in future titles. The game is by and large a dungeon crawl, but what a dungeon crawl it is. Played in first-person perspective, the map is remarkably interactive for a game from 1991. The game is largely based around combat, though it does contain a great deal of lore and a few mechanics from the AD&D books on which it was based. It is one of those games that helped to prove that you could bring a game like Dungeons and Dragons to the PC without sacrificing much of what made it so fun in real life. The Legend of Darkmoon followed soon after the first but improved on it in almost every way. No longer confined to dungeons, you could now explore outdoor areas. Interactivity was taken up a huge step, as were the roleplaying elements of the game. The modified engine from the first game was still close enough that you could port in characters from the original to the sequel, but the improvements across the board made it a much better game. While it still uses most of the same mechanics from the first game in the series, The Legend of Darkmoon feels much more like a role-playing game. It certainly wasn’t easy by any stretch of the imagination, but it was still an improvement on the first. If Eye of the Beholder was a step forward for D&D games, The Legend of Darkmoon was a step forward for RPGs in general. Assault on Myth Drannor was a game that had a great deal of promise but was ultimately a mediocre end to a great series. Developed by an in-house team instead of the Westwood team that had developed the previous games, Assault on Myth Drannor felt somehow smaller and less spectacular despite theoretically using a less advanced version of the engine. While you could still port characters from the first and second games to the third, the world didn’t quite feel as big. The graphics weren’t quite as good, the sound design was downright bad, and everything felt like it had taken a step back. Even compared to the first game, Myth Drannor was a bit of a disappointment. It’s well worth playing if you were invested in the story from the first two entries, but it’s yet another example of an RPG that gets bogged down by changes during development. 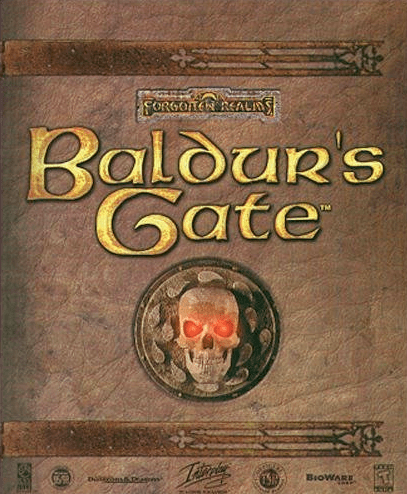 While the Gold Box games established that D&D could be a valuable computer property, it was Baldur’s Gate that propelled the series to excellence. In 1998, the first Baldur’s Gate game was released to great acclaim. The game featured the ability to create a single protagonist who would be joined in his or her journey by a series of optional non-player characters. Unlike the Gold Box games, Baldur’s Gate would put all the action in the isometric point of view. This allowed for a much more detailed world and a better sense of setting for players. It didn’t take long for the game to catch on and to become a bonafide hit. Baldur’s Gate also set the standard for storytelling in D&D games. While there had been plots in the other games, they’d been simplistic compared to what would come. Baldur’s Gate launched the Bhaalspawn Saga, which would encompass the game, its sequel, and both of their expansions. Baldur’s Gate also launched a spin-off series, called Dark Alliance. Taking place in roughly the same universe as the main game, the console games were action-RPGs. Some of the first real examples of the genre, they were quite popular in their own right. The addition of Dark Legacy marked the beginning of a gold age for D&D in video games. Not only would it have the Bhaalspawn Saga on the PC and Dark Legacy on PC, but the engines of these games would go on to be popular in their own right. The Bard’s Tale and Brotherhood of Steel both used the Dark Legacy engine, while D&D-based Planescape: Torment and Icewind Dale would use the same engine as the main game. The combined legacy of the two Baldur’s Gate series firmly established Dungeons and Dragons as a video game franchise. These games were also largely responsible for the early success of RPG powerhouses BioWare, Snowblind, and Black Isle Studios. While Baldur’s Gate and its offspring were successful, a new millennium brought with it a chance to keep innovating. Neverwinter Nights was the spiritual sequel to an earlier game, but its 2002 iteration was very much its own animal. Once again published by BioWare, this game would reinvent Dungeons and Dragons once again. Leaving behind AD&D for the 3rd Edition, the game was in isometric 3D and made great use of lighting and shaders to create a much more realistic universe. Players would once again create a traditional D&D character, now with more control over stats and build. The main plot was over sixty hours long, but it was only one small part of the overall game. Neverwinter Nights was part of an initiative to bring the regular play of D&D into the computer world. Not only could players design their own campaigns, but they could run them with other players. There was a tremendous amount of third-party content made with the tools included with the game. As seemed traditional by this point, the game’s Aurora engine was also used to spin off into a number of other directions. Some of the most popular roleplaying games of the 21st Century owe a huge debt to Neverwinter Nights’ engine. Bioware’s Knights of the Old Republic was built on a modified version of the engine, as were the prototypes for Dragon Age: Origins. Even the famous Witcher series owes its existence in part to this engine. There was no real renaissance in D&D games after Neverwinter Nights, owing largely to the effort to develop the game as a platform on its own. There were, however, many re-releases of older games that were sold due to rekindled interest in D&D. As it stands, Neverwinter Nights is considered one of the best pure adaptations of D&D ever to make its way to a PC. Neverwinter Nights 2 may not have reached the lofty heights of its predecessor, but it still left a legacy. Neverwinter Nights 2 was more of a spiritual sequel to Neverwinter Nights than anything else, as its plot had very little in common with the first game. 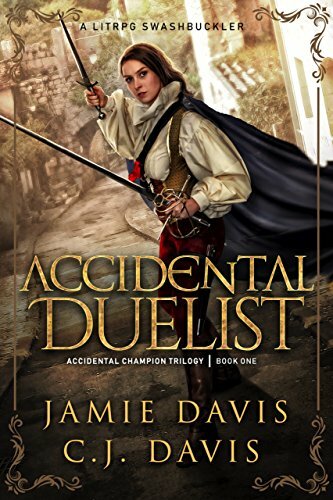 It still took place around Neverwinter, but it followed a totally new character on a new adventure. As the first game had embraced the 3rd Edition rule set, this game would embrace 3.5. Character creation was even deeper, and players could go farther in creating their ideal characters. The plot wasn’t as well-received for this game, but its expansions are generally remembered fondly. This was Obsidian’s first real go alone with the D&D license, and it sadly became known for the technical glitches for which the company is so notorious. This doesn’t, however, mean that the game’s legacy stopped with that title. The Electron Engine wasn’t widely used, but it did prove that the Aurora Engine still had life left in it as of 2006. It was used to publish Neverwinter Nights 2’s three expansion packs and did so admirably for an engine that was an upgrade of an older engine. Neverwinter Nights 2 did, in many ways, bring an end to the saga of D&D on the PC. There have been other games released, but most of them moved away from the formula established back with the Gold Box games. It’s a shame, though, as the game is generally thought of as quite fun by most players. What Neverwinter Nights 2 did prove is that players wanted something different than they’d played before. As one might imagine, there was already something new brewing by this point – something that would make the mixed opinions of Neverwinter Nights 2 look positively unified by the time it was released. Dungeons and Dragons Online released in 2006 and sought to change everything. On one hand, it’s easy to look at D&D Online as an obvious attempt to cash in on the popularity of MMOs like World of Warcraft. It was the height of the MMORPG boom, and it simply made sense for D&D to enter this world. D&D Online took place in an all-new Eberron setting, which Wizards of the Coast was attempting to push as the new setting for 3.5. It featured most of the same character-building that one would expect from an MMORPG in that era, albeit restricted by the 3.5 rule set. The game differentiated itself from the rest of the market by still feeling like D&D. It might have been an action-RPG, but it was one where working with a party still mattered and team composition meant everything. It was a tough game at times, but one that worked hard at capturing the feeling of the main series. Due to its release date, Dungeons and Dragons Online found itself in difficult waters early on. Not only did it have to compete with World of Warcraft at the height of its popularity, but it was also impacted by the initial move to free to play games. The game has gone through three iterations so far, each of which was accompanied by a change in subscription model. The original pay to play version was called Dungeons and Dragons Online: Stormreach. When it moved to a hybrid free to play model, it became D&D Online: Eberron Unlimited. When it finally went fully free to play and incorporated Forgotten Realms content, it became Dungeons and Dragons Online. It’s important to realize that this game currently competes with a second D&D MMO, called Neverwinter. The latter game is unrelated to the Neverwinter Nights series and is largely aimed at console gamers. At some point, Dungeons and Dragons faded away from the gaming world. As the main game transitioned from fourth edition and eventually into fifth edition, it seemed like the main concern was keeping the MMO afloat. Nostalgia, though, isn’t something that can be denied forever. In 2012, a rather unusual release occurred. Independent developer Beamdog sought permission from Atari, Wizards of the Coast, and BioWare to update Baldur’s Gate. As players of the original game had noted, Baldur’s Gate was very much showing its age by 2012. While many of the systems were still fantastic, some of the basic quality of life issues made the game hard to play for newer gamers and frustrating for those who had become used to new design styles. The Enhanced Edition of Baldur’s Gate updated the engine, the look, and some of the systems of Baldur’s Gate while leaving the core of the game intact. A huge success, it led to several other remakes. Baldur’s Gate II and Icewind Dale have now been remade on the Infinity Enhanced Engine, with rumors of Planescape: Torment following suit soon. It’s even possible that a true Baldur’s Gate III may find a release on this engine. The future is always in flux when it comes to video games. Dungeons and Dragons has always been very quick to embrace new technology. From handhelds to PCs to consoles, Dungeons and Dragons always moves on to the next big thing. As VR matures, it seems likely that D&D will find a home on those platforms. Whether it’s as a standard roleplaying game or an MMO is to be seen, but it’s clear that there’s a desire out there for a more immersive D&D experience. As long as new platforms exist for the game to expand onto, D&D will be there. Love talking about old video games? Check out this gaming history thread over at the LitRPG Forum. 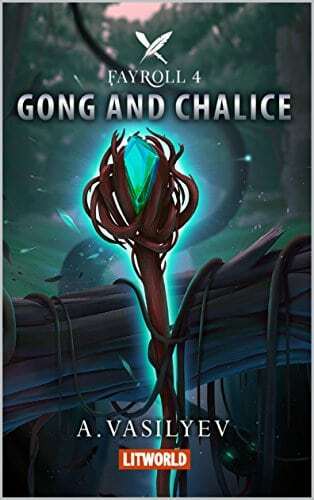 We’re gamifying the LitRPG genre. You should stop by, even if you don’t create an account. If you do, you can earn virtual gold for posting, buying items, and more. There’s even a Steal Gold feature for those with nefarious thoughts on their mind. Come join us!